Globally, annual plastic production has boomed from 1.7 million tons in 1950 to almost 300 million. As much as 250 million metric tons of plastic could make its way into the ocean by 2025. The environmental damage caused by plastic debris alone is estimated at $13 billion a year. As scuba divers, we are invested in the beauty and conservation of our oceans and waterways. Monthly, Adventure Outfitters partners with Keep Tampa Bay Beautiful and Project AWARE to clean up the inner-coastal and inner-Bay waterways including Ballast Point Park, Picnic Island, Marjorie Park on Davis Island and the Old Gandy Bridge in Tampa Bay that are the gateways to our oceans. Our program started in August, 2014 completing several cleanup dives, collecting more than 5,000 pounds of debris and recycling materials. In addition to cleaning up local dive sites, we distribute our data surveys to Keep Tampa Bay Beautiful and Project AWARE for long-term analysis and research. We rely on our loyal volunteers that brave the poor visibility to help us clean up these sites. Without them, we would not be able to continually improve our community of unsightly debris, and create a safe haven for the local aquatic flora and fauna. Educating you about the marine debris issue. You will learn what damage has already been done, where ocean trash comes from and how you can be an active part of the solution. Equipping you with the knowledge and skills needed to conduct a Dive Against Debris survey. You will learn how to create a survey dive profile, understand the best use of photography and make effective decisions on what to remove and what to leave behind. Highlighting the five steps needed to record and report findings from a Dive Against Debris dive: weigh, sort, record, dispose and report. Throughout the course you will gain a detailed understanding of what issues debris causes in the underwater environment. After the course is complete, you will be empowered to participant in ongoing Dive Against Debris surveys near you, and even start a survey of your own! The valuable data you submit as part of these surveys will help to support the development and implementation of policies that will improve solid waste management at all levels. Plus, your findings will be added to the interactive Dive Against Debris Map so that you and others will be able to visualise your impact at a local and global level. In addition to managing debris and collecting, we also include a prize for the most-unique items, a kayaker prize and several more for the hard work of our volunteers! 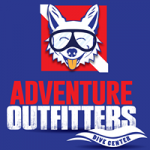 We provide a free air fill or a free air tank rental and we highly discount rental gear for our volunteers. Davis Island: February 24, 2019 at 9 a.m.
Picnic Island: April 28, 2019 at 9 a.m.
Davis Island: May 26, 2019 at 9 a.m.
Ballast Point: June 9, 2019 at 9 a.m.
Picnic Island: August 25, 2019 at 9 a.m.
Ballast Point: December 8, 2019 at 9 a.m.